Associated Anesthesiologists, P.C. » Gross, Kenneth P., M.D. Home / Gross, Kenneth P., M.D. / Employees / Anesthesiologists / Gross, Kenneth P., M.D. Kenneth P. Gross, M.D. is a native of Cambridge, Nebraska. In 1984, Dr. Gross completed his pre-medical undergraduate education at the University of Nebraska with a BA in Philosophy. Dr. Gross completed medical school at the University of Nebraska Medical Center in 1988. Dr. Gross completed an intership in General Surgery at the Southern Illinois University School of Medicine in 1989 and he completed an anesthesia residency at the Brigham Women’s Hospital in 1992. Dr. Gross was a faculty member teaching residents at Harvard Medical School from 1992 to 1996. Dr. Gross is Board Certified by the American Board of Anesthesiology and is also Board Certified by the National Board of Echocardiography in TEE. Dr. Gross has been with Associated Anesthesiologists, P.C. since October, 1996. Dr. Gross is married and has four daughters. His personal interests include traveling and international medical volunteer work. Dr. 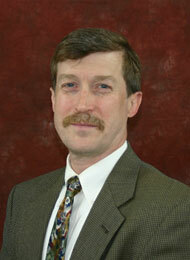 Gross is also CEO of JLS Interactive LLC, a medical education website company.